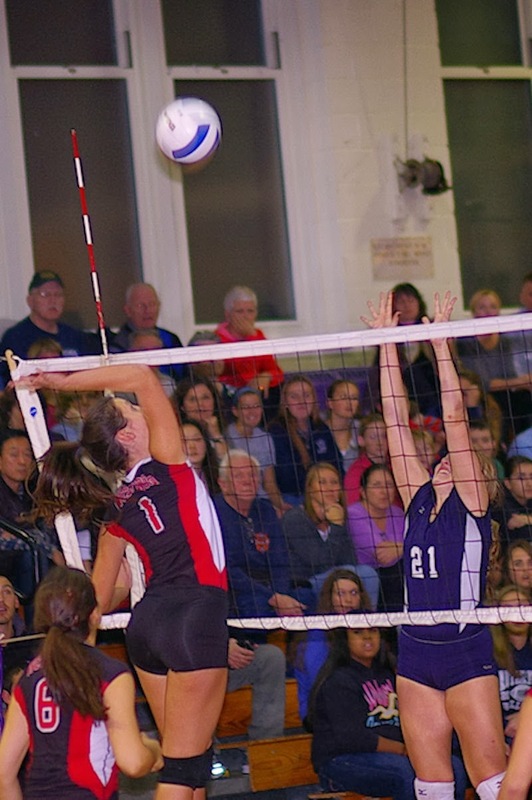 A tournament double header was played on Thursday at Speary Gym to determine the finalist for the NJSIAA Group 1 Championship. The first match was between #2 Westwood and #3 Rutherford. 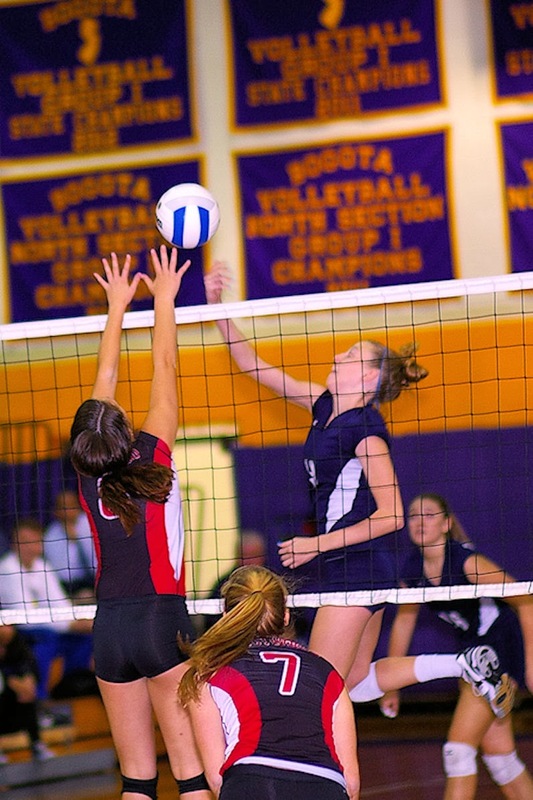 The Lady Bulldogs were lead by Erin Moss with 13 Kills, 1 Ace & 6 Digs. Karolina Kopacz has match highs with 2 Aces, 19 Assists and 9 Digs as they lead the Lady Bulldogs to a 2-0 (25-14 : 25-19) win. 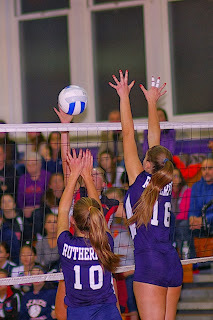 Rutherford #10 Jordan DeCesare & #16 Karolina Kopacz with a block. 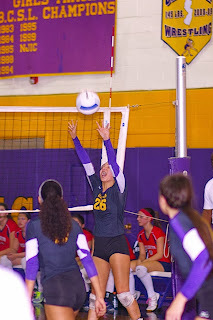 In the second match #1 Bogota defeated #5 Secaucus 2-0 (25-15 : 25-9). The Lady Bucs had five different players serve Aces with Natalie Torres leading with 4. 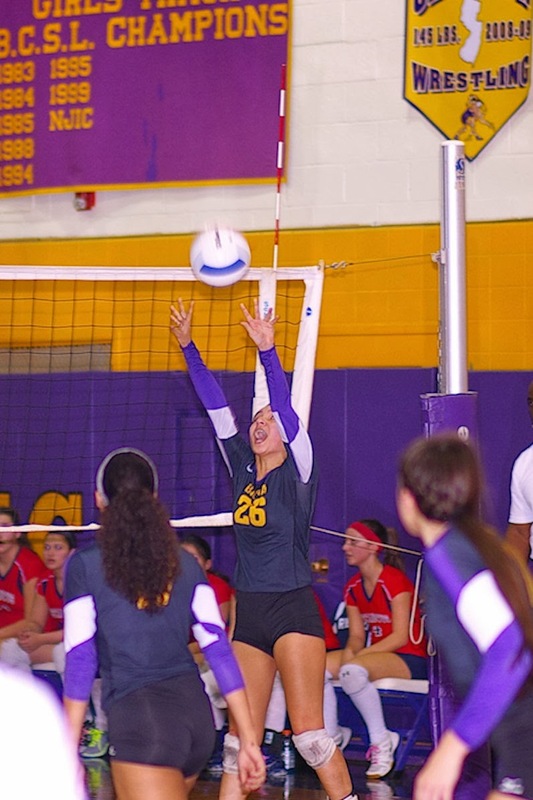 Amanda Manzo lead with 10 Service Points & 28 Assist, while Jenifer Ramirez had 8 Digs and Tiana Henry with 4 Blocks giving the Bogota defense the opportunity to start the Offense. . The Lady Bucs had two players in double digits Kills with Kelliann Brown having 10 and Carly O'Sullivan leading with 16 to go with her 2 Aces, 4 Service Points, 4 Blocks and 6 Digs. The Finals of the NJSIAA Group 1 Tournament will be #1 Bogota against #3 Rutherford on Saturday 16 Nov. at William Paterson University in Wayne, NJ. The tournament is scheduled to start at 12:00 noon. Bogota #43 Tiana Henry & #16 Carly O'Sullivan blocking a shot. 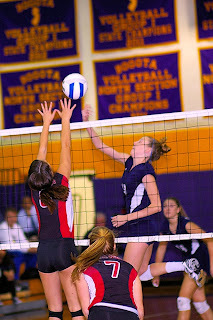 Bogota # 11 Kelliann Brown with a Kill. Bogota #14 Carly O'Sullivan with a drop shot. the 2013 North section Group1 Trophy. The 2013 North Section Group 1 Champions Bogota Lady Bucs.